First red day closed near lows. Left a lot of bag holders behind. 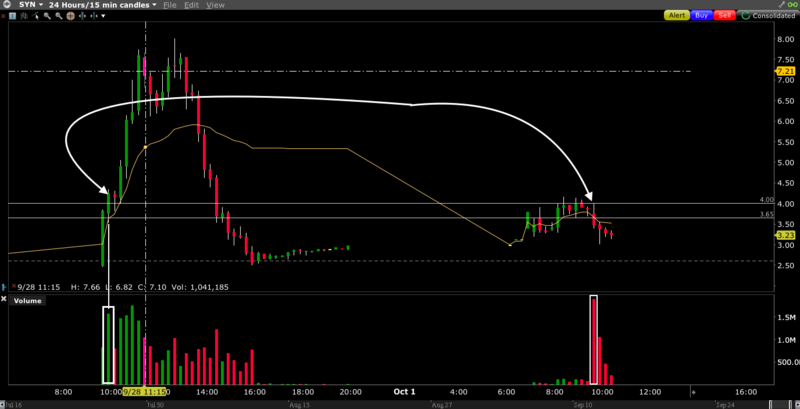 I will watch it tomorrow morning for a potential reshort on a gap down + fail morning spike. Company is toxic because they can’t pay its lender + convertible notes converted in January and insufficient cash flow = possible almost certain Offering in the coming days. Gap up with low volume compared to the average volume due to upcoming investor conference at 9.15am . Possible multi breakout tomorrow if it doesn’t gap up too much before the open Key support 1.45-1.50 - key resistance 1.75. If it gaps too much before the open DO NOT TRADE IT. Wait and see. 7th green day in a row but this could keep spiking but I don’t see the point of spiking and chasing it its already up tooooo much all I can do right now is watch and wait for a #5 morning panic dip buy pattern. Multi day - all time high breakout very bullish on revenues expectations for 2019. Multi day runner. Overview webcast at 11am. This can trigger an morning spike + squeezer in anticipation of the webcast. Be careful this is already very over extended so be ready cut losses very quickly if chasing in the morning. Waiting for a #5 dip buy would be safer and will give a better entry for a possible swing trade.